What are we told by the answer to the question the referendum posed — should Britain stay in the European Union or leave? Those who backed Brexit, the catchy long-hand for “leave”, could claim about 51.9% of the three-quarters of the electorate who bothered to vote. This was clearly more than the 48.1% of voters who wanted to stay. The leavers claimed an outright victory and the Brexiters in the government told us they now had an unchallengeable mandate to take Britain out of the EU. The message was repeated at every possible opportunity. The British people had spoken clearly, and woe upon anyone who ignored their voice. It’s been said so often that you might almost come to believe it. In reality, the vote was too close to be statistically significant and was therefore a poor guide to action. The lies told by both sides in the run-up to the referendum meant that many votes were cast on a foundation of deceit. And the ignorance of most Britons, including their political leaders, on all matters European was apparent ahead of the vote and has become all the more obvious subsequently. For this, Britain’s largely overseas-controlled press must bear some responsibility. 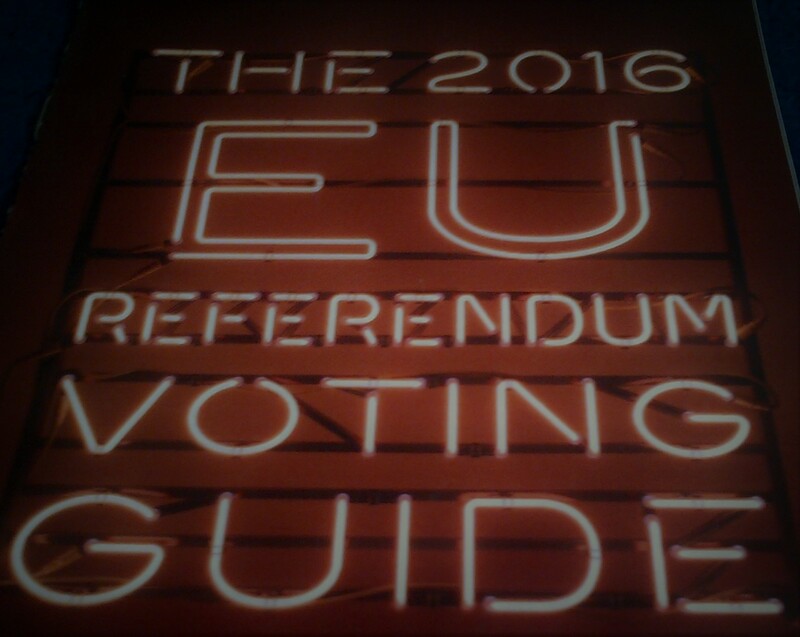 The cover of the voting guide sent by the government before the EU referendum. So let’s see what the 2016 referendum can and does tell us. First, it shows how hopelessly divided Britain is on EU membership. Neither side can offer our leaders a clear mandate, or will probably ever be able to do so. Second, almost 63% of those entitled to vote DID NOT vote to leave the EU. Only just over 37% did. A clear mandate to abandon a trading partnership that has worked for decades, if imperfectly? Pull the other one.